The first step when using the remote debugger is to create a standalone application with the remote debugger included. If you are using the 'Test' button to run your app from the IDE, the remote debugger will be included in the app automatically. 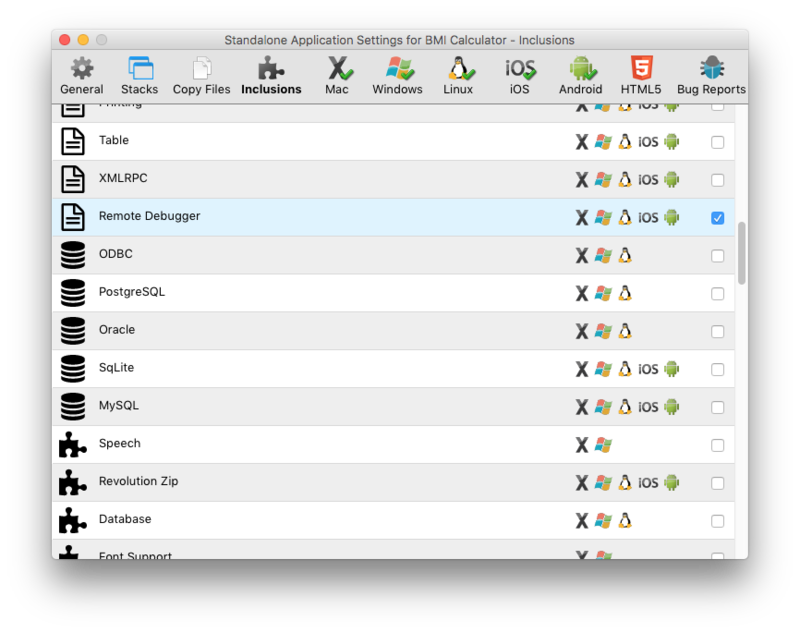 Otherwise, if you are saving a standalone, simply include the remote debugger in your standalone application using the Inclusions pane of the standalone settings stack. When the standalone launches, if there is an instance of the IDE running, it will ask if you would like to start a remote debugging session. Simply click yes to activate the remote debugger. The standalone you are debugging does not have to be running on the same platform as your IDE. You can debug LiveCode applications running on iPhone / iPad simulators and devices, Android emulators and devices, and virtual machines. When the remote debugger is active, breakpoints in a standalone application's scripts will trigger the debugger in the IDE. The script editor opens, and you can control execution in the standalone using the standard step out/over/in, stop and play buttons. 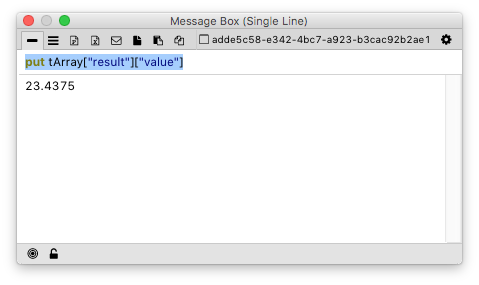 and output the values of variables to the message box using put tVar. The remote debugger will route any put commands without a target into the IDE message box. So the put command can be used for logging purposes, and everything that that is logged in this way will be output in the message box field. Next: How do I Create a Color Picker Swatch?